Xbox Games with Gold for April 2018 is Stellar | Nerd Much? Microsoft has announced an epic lineup headed our way via Games with Gold this month. The Witness, Assassin’s Creed, and Dead Space? Sign me up! The Witness is available the entire month of April for Xbox One Gold members. Mid-April brings us Assassin’s Creed Syndicate to Games with Gold. Set in London during the late 1800s, this Assassin’s Creed outing was one of the more lukewarm offerings. As Jacob Frye, your goal is to recruit a gang and support the working class during the Industrial Revolution. Syndicate is free on Xbox One from April 16th through May 15th. It’s become apparent that Microsoft must have some kind of deal with Disney/Pixar going on. Last month saw the inclusion of Brave for the Xbox 360. And this month we’re getting Cars 2: The Video Game as of April 1st. The game did fairly solid review wise. It’s a mission-based racing game, as you might expect, and holds an average Metascore of 72 following 35 reviews. You can download it through April 15th on Xbox 360 and Xbox One. The sequel is a bit heavier on the action elements. And the game sports epic moments in which it throws you into zero-g environments. It’s free to download on 360 and Xbox One via Games with Gold from April 16th through April 30th. 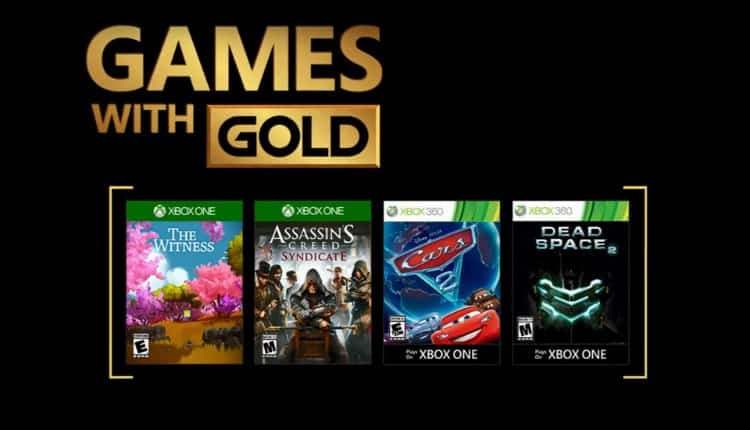 It’s a fantastic month to take advantage of your perks included with Xbox Live Gold. We’ll be back next month to break down what Microsoft has in store for us in May.